You know David Hockney. But did you know he’s a proponent of painting on iPhones? CBC and Studio Q continue to deliver great content in all genres. We encourage you to head down to LA’s Geffen Contemporary at the Museum of Contemporary Art (MOCA) to check out the current exhibit of street art featuring the likes of Banksy, Shepard Fairey and a host of other great street artists. The exhibit is up until August 8th. MOCA’s press release is set forth below. “The Museum of Contemporary Art presents Art in the Streets, the first major U.S. museum exhibition of the history of graffiti and street art. The exhibition will trace the development of graffiti and street art from the 1970s to the global movement it has become today, concentrating on key cities where a unique visual language or attitude has evolved. Following MOCA’s presentation, the exhibition will travel to the Brooklyn Museum, where it will be on view March 30–July 8, 2012. Art in the Streets will showcase installations by 50 of the most dynamic artists from the graffiti and street art community, including Fab 5 Freddy (New York), Lee Quiñones (New York), Futura (New York), Margaret Kilgallen (San Francisco), Swoon (New York), Shepard Fairey (Los Angeles), Os Gemeos (São Paulo), and JR (Paris). MOCA’s exhibition will emphasize Los Angeles’s role in the evolution of graffiti and street art, with special sections dedicated to cholo graffiti and Dogtown skateboard culture. The exhibition will feature projects by influential local artists such as Craig R. Stecyk III, Chaz Bojórquez, Mister Cartoon, RETNA, SABER, REVOK, and RISK. 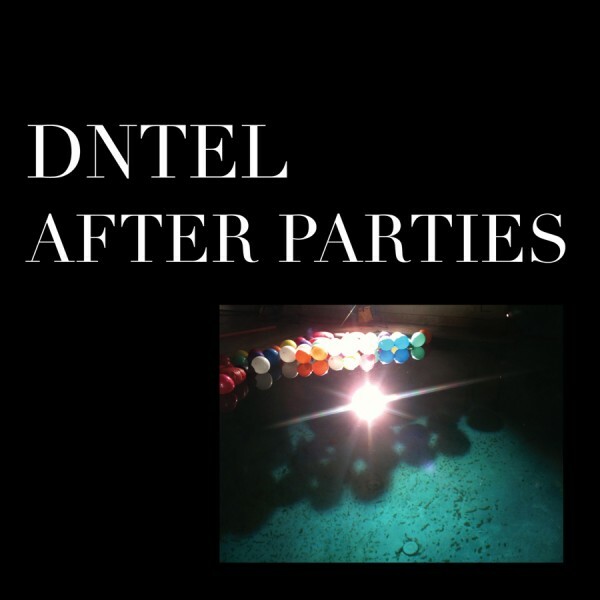 Check out a couple of Dntel’s great new tracks below. And finally here’s a fine new offering from Banksy inspired by recent riots in England prompted by the opening of a Tesco store in Stokes Croft, Bristol. 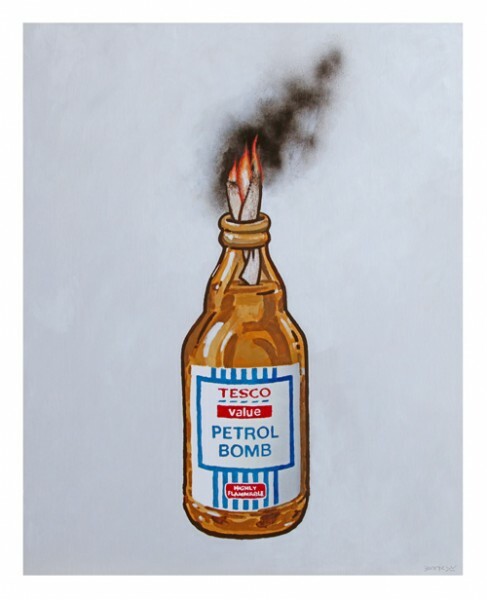 The poster of a lit petrol bomb emblazoned with Tesco’s ‘value’ logo will be sold to raise funds for the local community groups opposed to the Tesco store. Lefort headed north to San Francisco and environs this week. On the one hand, there’s no better place in North America to slant sensory-overload and synapse-flagellation. Job well done, SF. 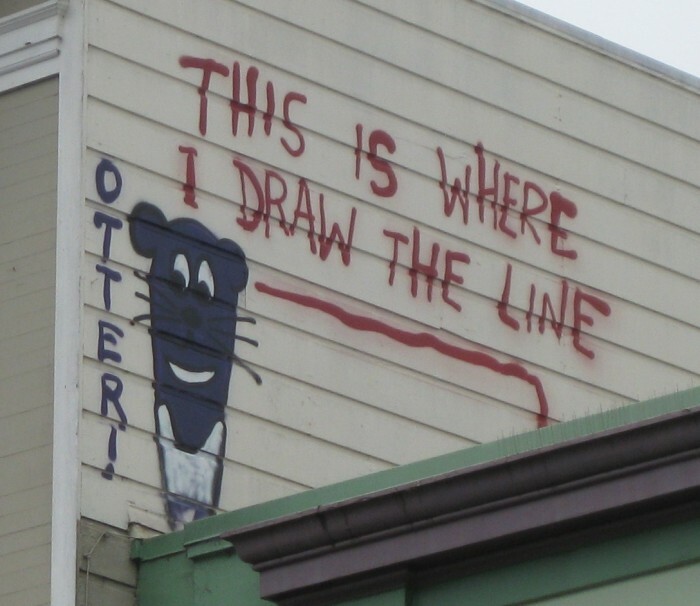 Art, graffiti, bookstores, etc. On the other hand, we were there for three nights and there was not one (one!) worthy musical show. Embarrassing, we say. So praise be to Club Mercy and Santa Barbara’s music scene, by comparison. 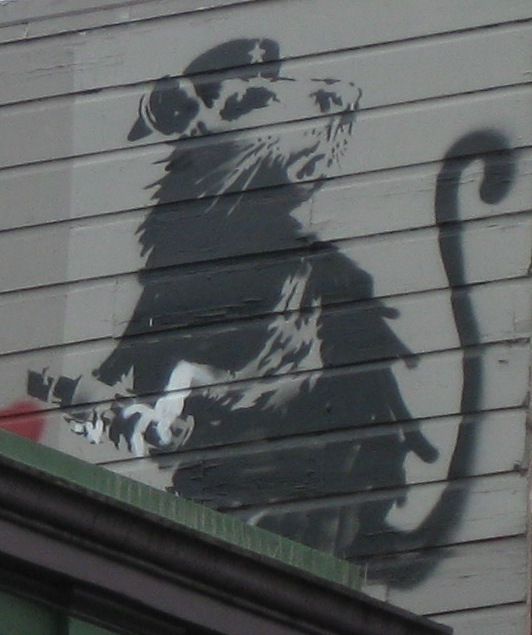 While we missed the Fisher’s largesse at SF Modern Art and the Impressionists at the DeYoung, we had the fortune to stumble upon some cool art, graffiti-style, as rendered recently in the Lower Haight, the Mission and Chinatown by England’s phenomenal Banksy. Check it out above and below. 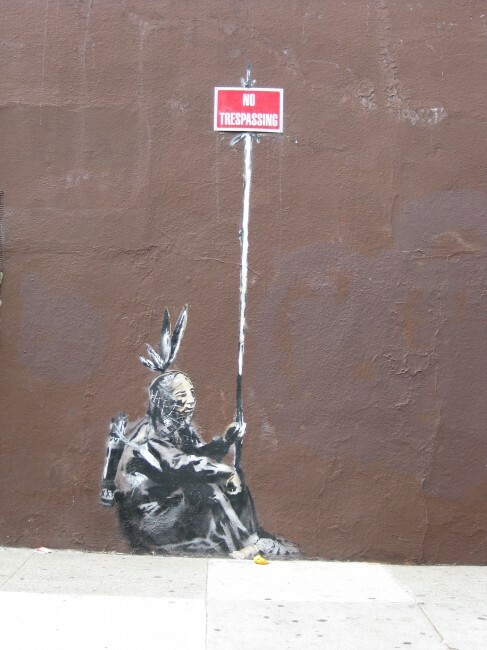 We particularly liked “Warrior/Chief’s” commentary on the forgiven and unforgiven trespasses.